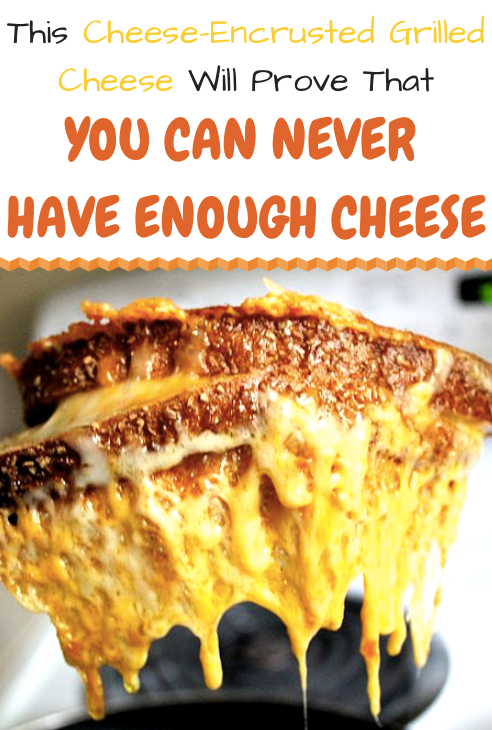 Because cheese only on the inside is for peasants. The best part of every grilled cheese sandwich is the little bits of cheese that get crisped up in the pan and become crunchy, savory goodness. Turns out this little cooking “mistake” is actually called frico, and happens to be essential in making the best grilled cheese ever. 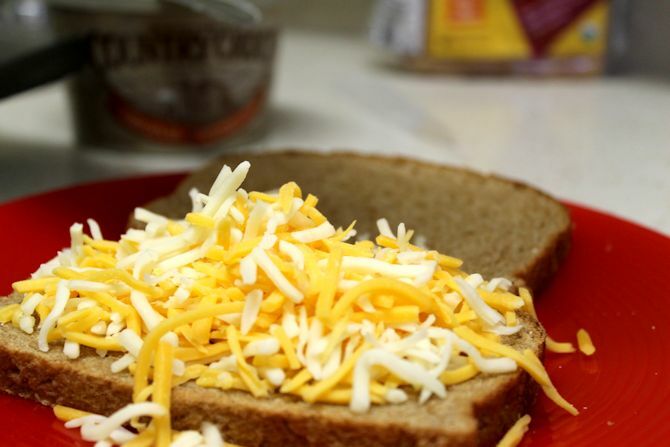 Don’t settle for a sandwich with cheese merely in between the bread. It is the 21st century, a time where cheese can live freely wherever it chooses on its bready domain. 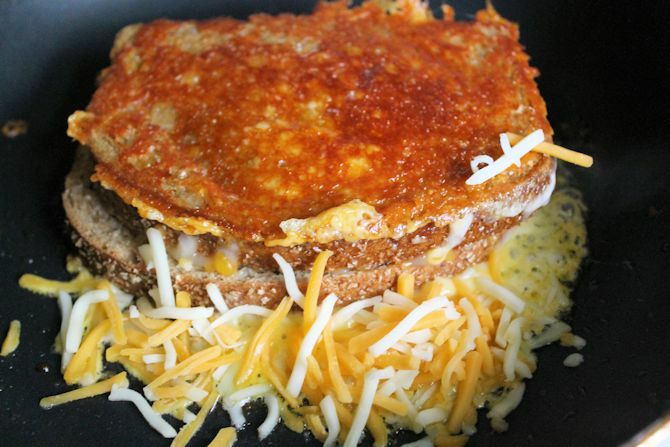 Get a little crazy and cover the outside of your bread in all that good ol’ cheddar. Here is how you can maximize that glorious cheese crunch. You’ll never go back to a normal grilled cheese again — that’s a pinky promise. 2. 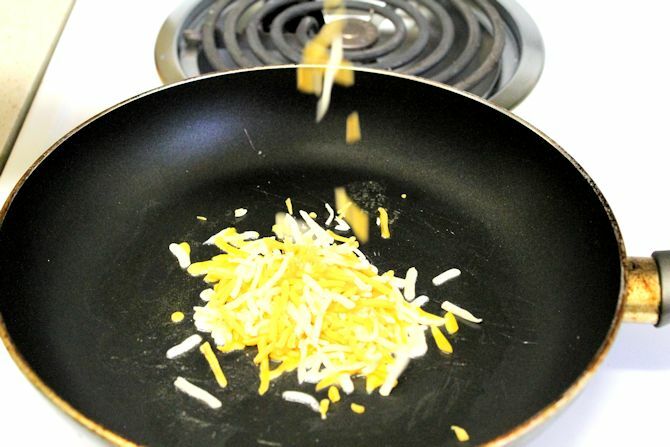 Once the pan is hot, place a small handful of shredded cheese in a bread-shaped blob in the pan. 3. Construct your grilled cheese: bread, cheese, bread. 4. 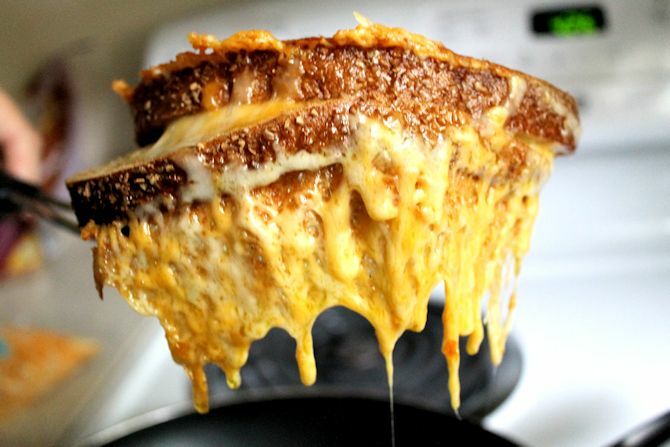 Place the bread on top of the melting cheese in the pan. Press with a spatula to adhere sandwich to extra cheese. 5. 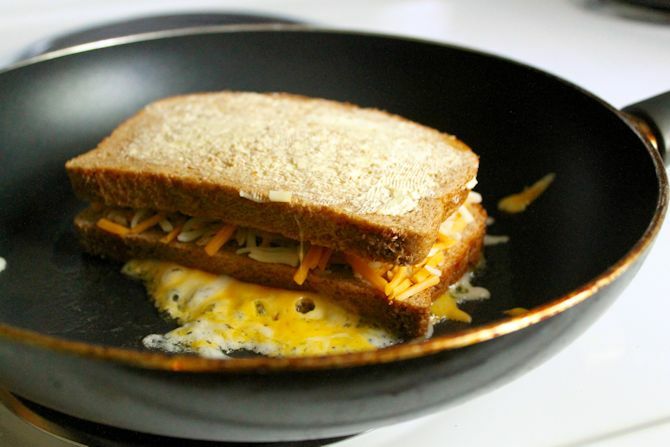 Once the cheese on the outside of the bread is browned, pick up your sandwich with a spatula while you place another handful of cheese in the pan. 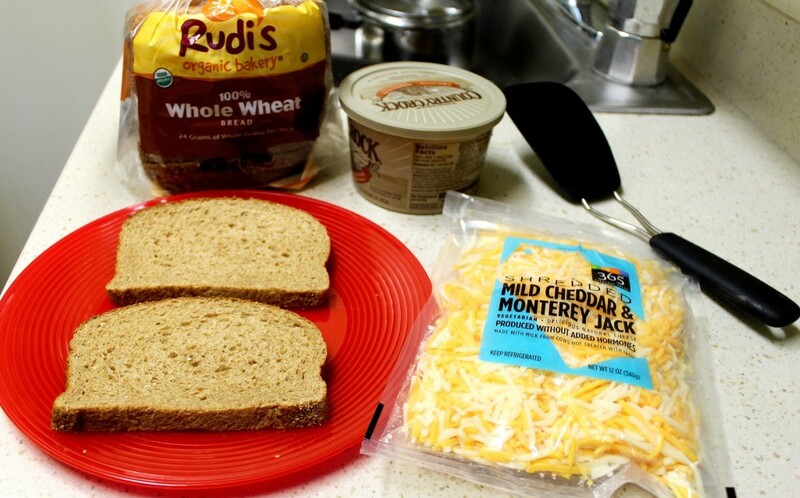 Flip the sandwich (the non-cheesed side down) on top of the cheese and let brown. 6. 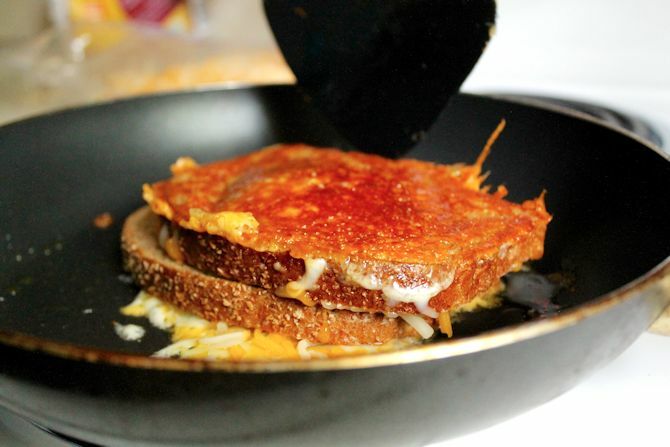 Remove from pan once the cheese inside the sandwich is melted and the outside cheese is a crisp, golden brown. 7. Cut in half and experience the magic of true love.